PHILIPPINES (April 18, 2018) – Britain’s Got Talent, the UK version of the world’s favorite talent competition, will make its home on AXN this Sunday, April 15 with the electrifying premiere of season 12. The kings and queens of entertainment Simon Cowell, Amanda Holden, Alesha Dixon and David Walliams return once again to their rightful thrones on the judging panel. “AXN is Asia’s undisputed pan-regional home of talent where we provide performers of all backgrounds with a powerful platform to showcase their unique skills. 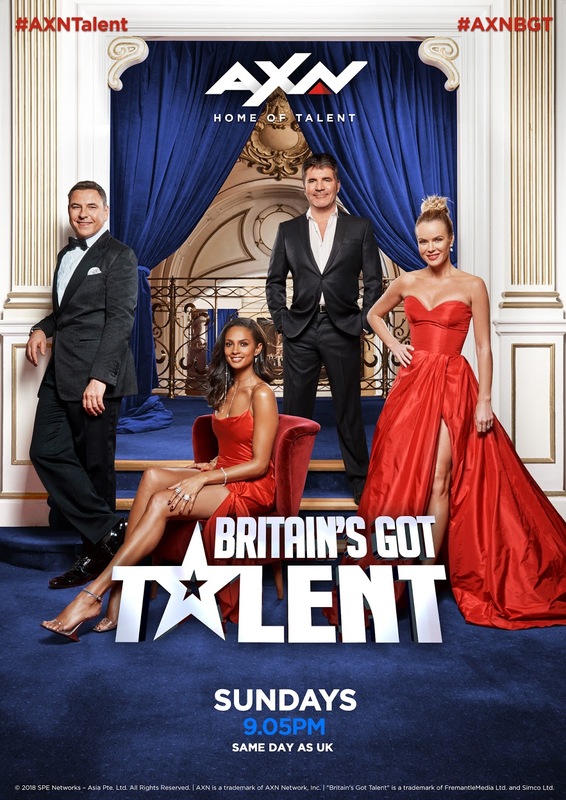 The addition of Britain’s Got Talent to our programming line-up complements our record-breaking original production, Asia’s Got Talent, giving viewers even more access to diverse, global entertainment,” said Virginia Lim, Senior Vice President and Head of Content, Production and Marketing, Sony Pictures Television Networks, Asia. Over the past few months, the popular judges have travelled the UK seeking out the weird and the wacky, the wonderful and the inspirational. With thousands of applicants, AXN viewers will be astounded by the impressive line-up of acts competing to be crowned this year’s winner. From choirs and dance acts, to a group of mysterious aliens and a musician skilled in the classical Russian jaw harp, the Britain’s Got Talent judges have seen it all, and this series looks to be the most entertaining yet. The past decade has seen Britain’s Got Talent deliver some of the most talked about winners including Paul Potts, Diversity, Ashleigh & Pudsey, Lance Corporal Richard Jones and most recently Tokio Myers. 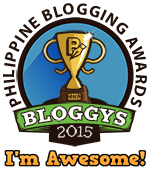 No doubt this year, there will be many more must-see moments to come. 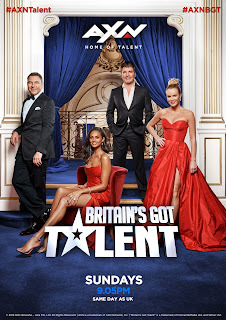 Britain’s Got Talent premieres Sunday, April 15 at 9.05pm on AXN, within 24 hours of the UK telecast.